Today’s app review is for the Skype app, the best way to make free phone calls through your smartphone or web browser. You may be surprised to find that Skype can do much more than just make phone calls, read on to learn more. 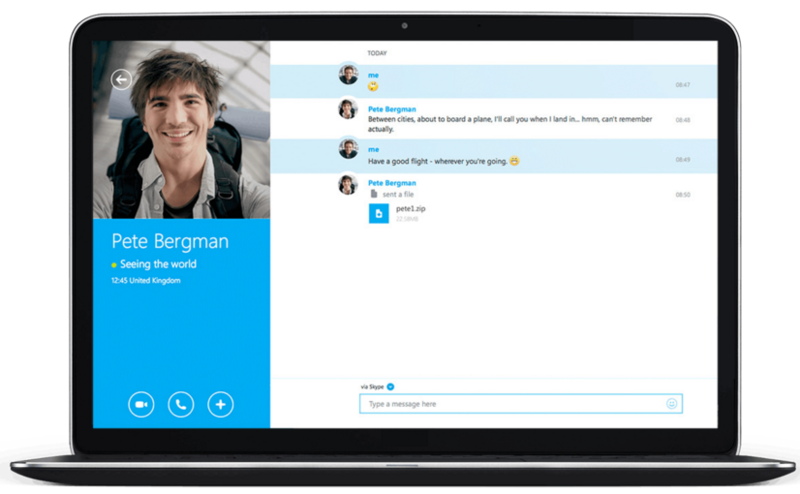 Skype is an app that allows you to make free video calls, message others, and share your PC screen with others. You can begin chatting with other people by adding them to your contacts. Once they have accepted your invitation, you can chat with them just as you can with any other messaging tool. A little-known feature of Skype is the ability to share your screen with others. Let’s imagine that you need to show a friend how to use a website, you can share your screen with them and let them visually see everything you are doing. You can call someone for free using Skype if both of you are using Skype. However, there are times when you want to call someone who has a land line and does not have Skype. You can do that and pay by the minute. Microsoft is the maker of Skype. 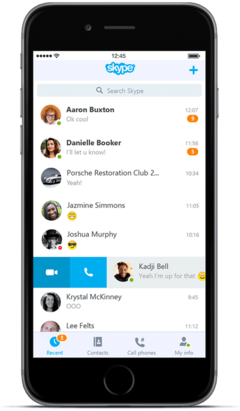 Hundreds of millions of people are already using Skype to do all sorts of things together. 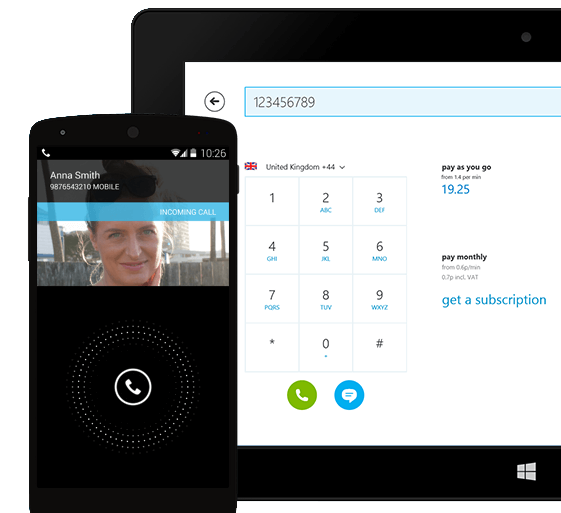 Skype is awesome because you can make free phone calls and share your PC screen with others. This entry was posted in Cool Apps and tagged conferencing, messaging, screen sharing, skype, video conference on April 6, 2016 by Steve Miller. 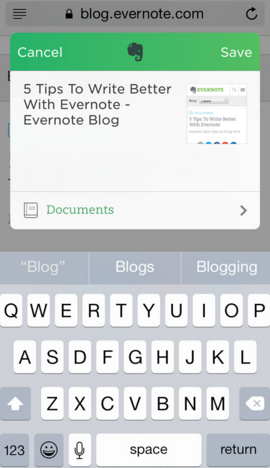 Today’s app review is for the Evernote app, the premier notes manager. 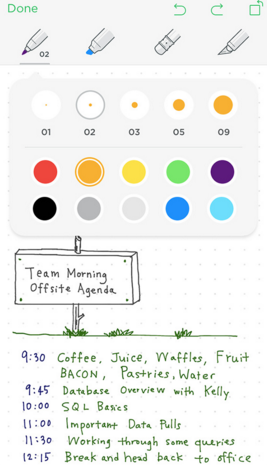 With Evernote, you will have a digital workspace to organize all your notes, ideas, articles, and other useful artifacts. 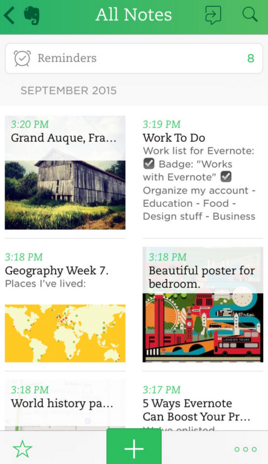 Evernote is a digital workspace for your ideas, lists, images, and tasks in one place. It also allows you to clip and save articles from the web and put them into your personal workspace. 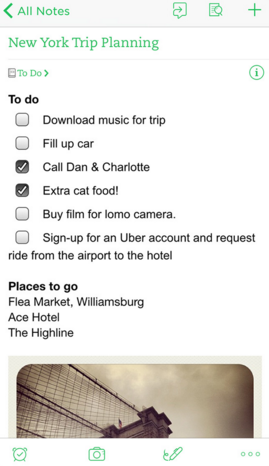 All your notes can be styled with rich text editing and you can easily check off your to-do list using the app. You can even sketch drawings and notations directly into the note. Evernote Corporation is the maker of Evernote. They build apps and products that are defining the way individuals and teams work today. As one workspace that lives across your phone, tablet, and computer, Evernote is the place to write free from distraction, collect information, find what you need, and present your ideas to the world. Evernote makes capturing your ideas and notes easy and it works across all devices you normally work with: phone, web browser, and tablet. This entry was posted in Cool Apps and tagged capture notes, create notes, evernote, note, note list, notes, sketch, task, tasks on January 6, 2016 by Steve Miller. Today’s app review is for the Any.do app, the premier to-do and task list manager. It’s so easy to get overwhelmed with your endless list of things to do — Any.do really helps out. 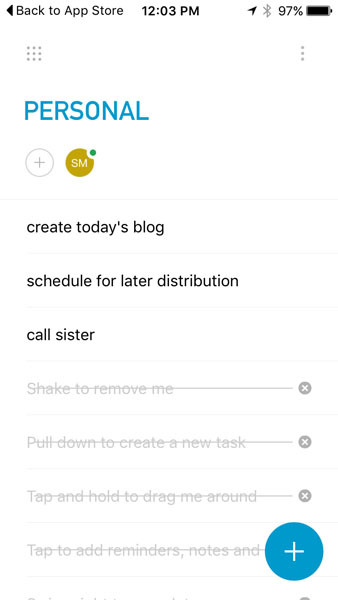 The Any.do app lets you organize to-do and task lists. When you first install it, it asks you what you would like to organize. Once you choose your categories, you can then add your to-do list. As you add them, you can quickly mark them as completed by swiping right. 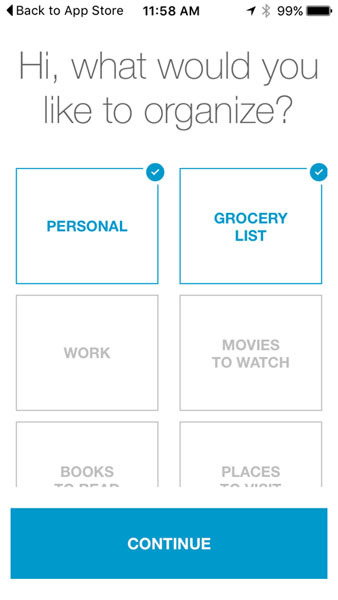 You can also reorganize tasks by dragging them to the order you desire. 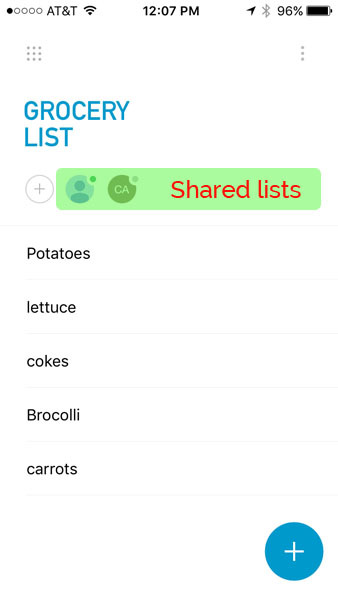 If you would like to share a list with someone else, you simply add them as a sharer. Imagine that you and your spouse are grocery shopping and you want to split up the duties of getting groceries. You could make a list, share it with your spouse, and each of you can see as the other crosses items off the list. Any.DO was founded in 2010 by Omer Perchik, Yoni Lindenfeld & Itay Kahana. Frustrated by the inefficiency of the available tools to actually help organize his life, Omer was inspired to do something about it. His goal was to create a tool to simplify the way people organize their lives, to allow them more time for fun. He really hit the mark with Any.do. The simplicity of the user interface is what makes Any.do so awesome. For example, to add a new item, you swipe down. To complete an item, you swipe right. To get rid of completed items, you shake your phone and the app exclaims “WOW!“. Very cool. This entry was posted in Cool Apps and tagged any.do, completed tasks, task app, task list, task management, task manager, to do list, to do list app on November 22, 2015 by Steve Miller. Today’s app review is for the Facetune app. 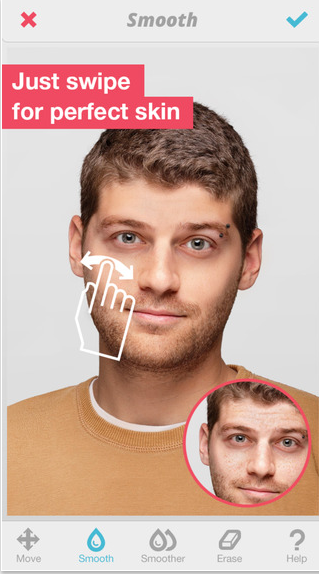 If you’ve ever create a selfie or photo of a friend and it did not turn out well, you can fix it with Facetune. 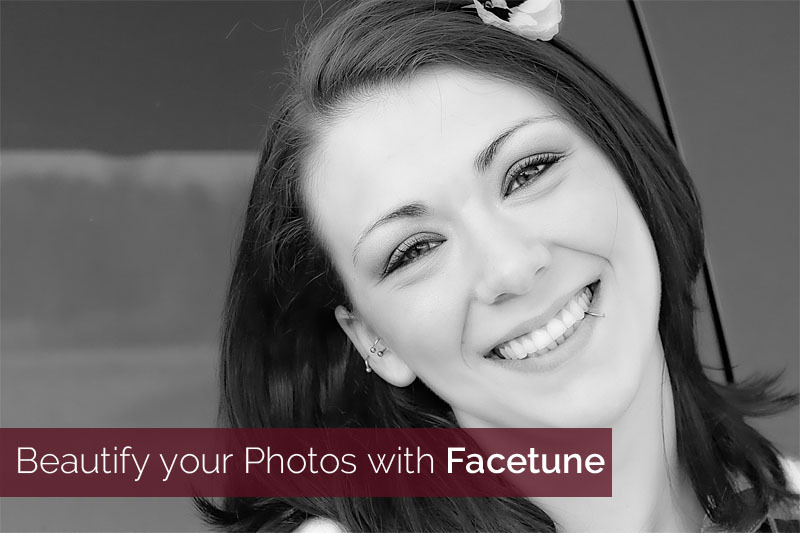 The Facetune app is all about improving your photos. We all create photos that are not picture perfect. Correcting photos with tools like Photoshop can be expensive and hard to learn. 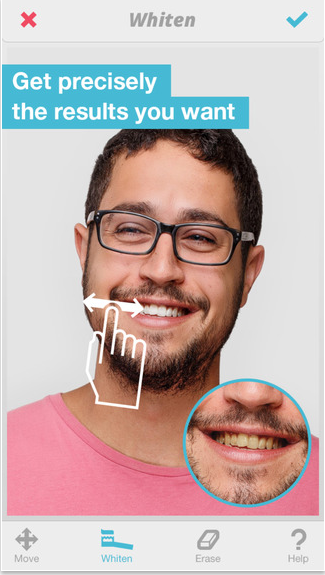 With Facetune, you can smooth blemishes, erase imperfections, whiten teeth, and cover over gray hair. 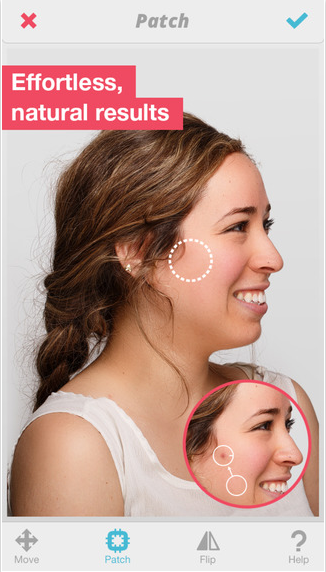 You can even reshape jawlines, apply makeup, reshape noses, and much more. Once you’ve edited a photo, you can quickly compare it to the original. Lightricks Ltd is the developer of Facetune. Facetune is awesome because you can quickly fix selfies and other photos without purchasing expensive photo editing software like Photoshop. It’s easy to use and quick to learn. This entry was posted in Cool Apps and tagged facetune, photo app, photo imaging, photo software, photoshop, selfie app on November 6, 2015 by Steve Miller. 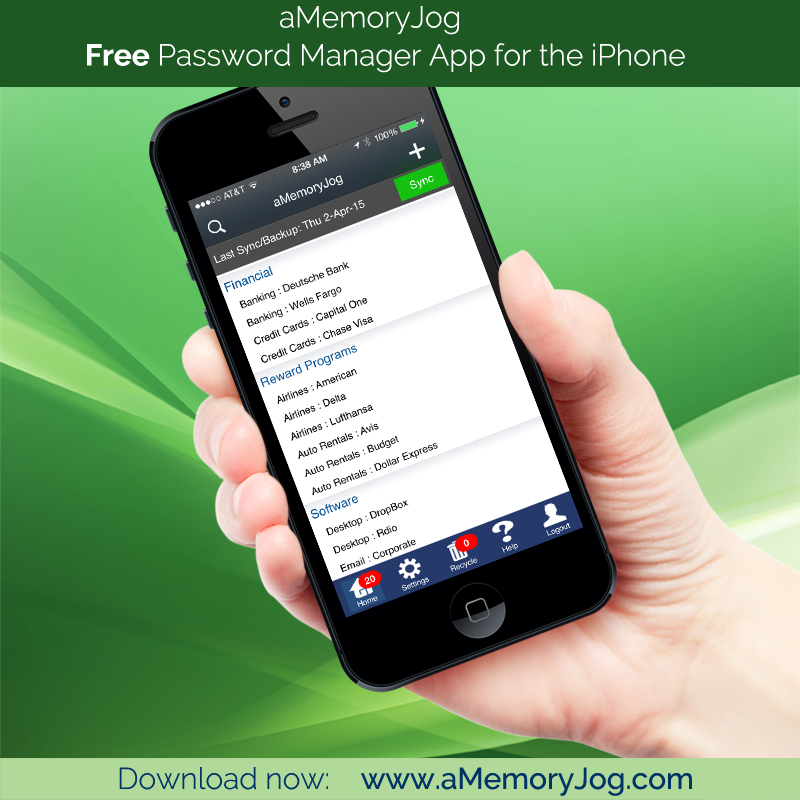 Today’s app review is for the aMemoryJog password manager app. If you’re like me, you probably have tons of information that you use from time-to-time that are important yet easy-to-forget. Stuff like account numbers, WiFi codes, loyalty account numbers can be put into aMemoryJog and you can whip out your phone and quickly find any information. First, full disclosure. Unlike the other apps on the Cool Apps section of this blog, I designed and created the aMemoryJog password manager app so this review may seem a bit biased. However, I created the app because I wanted a more affordable way to store easy-to-forget info, so on with the review. The aMemoryJog password manager app is all about securely organizing information that’s easy-to-forget. For example, we have a storage unit where we store some stuff for a house we are building. The code to enter the storage unit is long and is not memorable. I put that code into aMemoryJog and when I am at the unit, I simply whip out my phone to recall it. Using it for storage codes is just an example. I use it for tracking VIN and tag numbers for my automobiles, banking codes, software license codes and much more. I use it so much, I wrote a blog about how using it is like using a Swiss Army knife. My son is in college and he swears by it — he uses it to track all his passwords and school information. Lots of others like it as well, about 1,000 new users come on board every month. One the coolest features is that it works as an app for the iPhone but also has a web edition so if you are at your computer, you can quickly pull up your information using your web browser. But if you’re away from your computer, you can pull out your phone and see the same information because it seamlessly syncs together. Yours truly made the aMemoryJog password manager app under my company name Flip Flop Software. Hey, I live at the beach and rarely wear shoes so my company is aptly named. 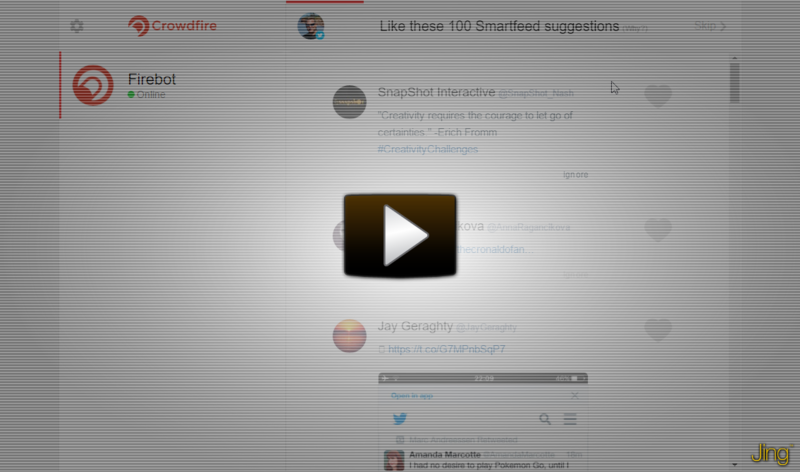 There is a totally free edition that works well for lots of people. The free edition is not limited by the number of items than can be stored, however, it does not sync with the web edition unless you purchase the paid edition. The competitors tend to get pricey. If you decide to purchase the aMemoryJog iPhone edition, you get a free 1-year subscription to the web edition. Likewise, if you buy a 1-year subscription to the web edition, you get the iPhone edition for free. The competitors normally charge you for the web edition separately and the cost is normally much higher. 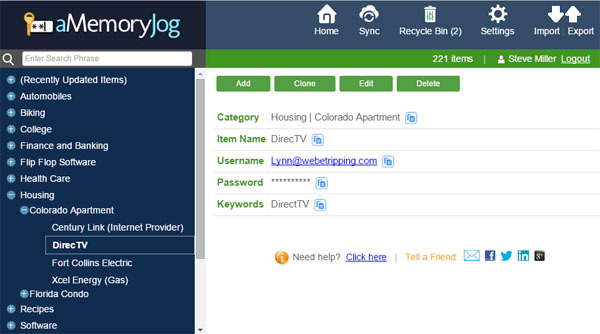 The aMemoryJog password manager app has a recycle bin, so if you mistakenly delete an item, you can restore it. None of the competitors have that feature. The aMemoryJog password manager app has a remote self-destruct feature. God forbid, what if your iPhone gets lost or stolen, you will probably be sweating someone getting into your password manager. With aMemoryJog, if that happens, you just log into the web edition and set it to automatically wipe out the aMemoryJog data on the iPhone (which you can later restore if you buy a new phone). Pretty cool stuff. This entry was posted in Cool Apps and tagged amemoryjog password manager app, password manager, secure password manager on October 1, 2015 by Steve Miller. 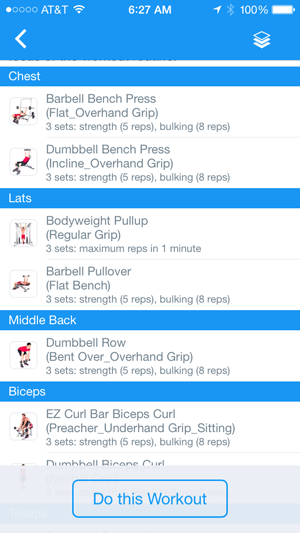 Today’s app review is for the Fitness Buddy app. Whether you workout in a gym or if you have a home gym, workout routines can get stale. With Fitness Buddy , you can quickly create new workout routines to keep your workouts fresh and fun. The Fitness Buddy app is all about improving your fitness. 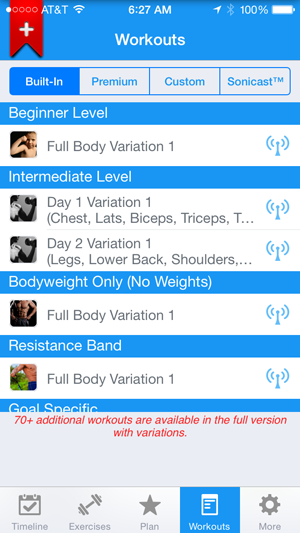 It allows you to build a custom workout routine for specific body parts and for different fitness levels. When you start, you can choose beginner, intermediate or advance levels workouts or you can choose a workout to support a specific goal (like weight loss or improved muscle definition). It then creates an exercise routine based on your criteria and shows you each exercise in the routine. If you don’t like a specific exercise, you can easily change to one you enjoy. One the coolest features is the instructional video. 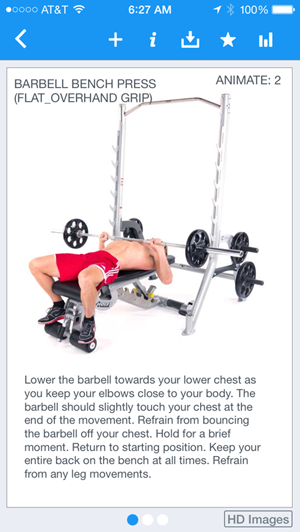 For each exercise, it provides an animation that shows you exactly how to perform it. Azumio Inc. is the developer of Fitness Buddy. Azumio is headquartered in Palo Alto, California and is the leading app developer for fitness mobile apps. With over 70 million downloads to date, Azumio is dedicated to the improvement of people’s health and livelihood by influencing healthy behavior through the use of innovative mobile applications. Fitness Buddy is awesome because it does not matter if you go to a gym to workout or workout at home, you can easily find a workout routine that you will enjoy. And you can rotate the routines monthly to keep the workouts fresh and fun. This entry was posted in Cool Apps and tagged exercise app, fitness app, fitness buddy, workout app on September 19, 2015 by Steve Miller. Today’s app review is for the Golf GPS app. 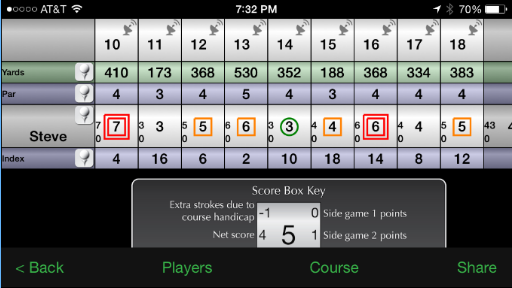 I have been using this app since October 2013 and it tracks my golf scores, handicap, and provides statistics that show what my average strokes are on a specific hole on a specific golf course. 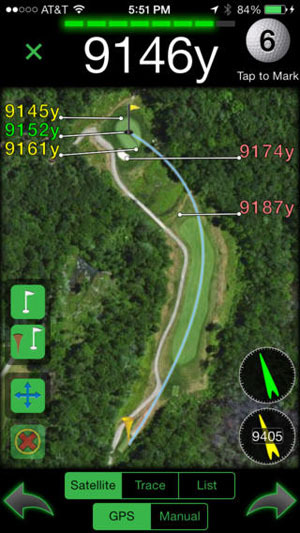 The Golf GPS app is all about improving your golf handicap. It tracks scores, handicap and provides statistics for each hole played. 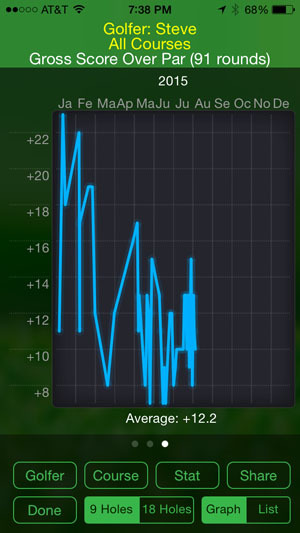 You can even track how many times you hit the fairway on your drive, how often you 3-putt and other interesting stats. But I think the best feature is the GPS. You simply walk up to your ball, tap the hole on the score card and it shows you the distance to the pin. It also shows you distances to specific areas of the fairway (like distance to a stream or other impediment). To get started, you simply download it, tap Courses then it will show you all the golf courses in near you. Once you find the one you are about to play, tap to Download the score card. Once you have downloaded the score card once, you never have to do it again. Once you have the course score card downloaded, simply tap Rounds to start tracking your score. You can track scores for yourself and for others. StrackaLine is the developer of Golf GPS. StrackaLine was founded in 2007 by father and son, Jim and Chase Stracka. Both are avid golfers and set off on the project to combine their expertise in technology with their passion for the game of golf. Golf GPS app is awesome because you can keep all of your golf rounds in a single app, allowing you to go back and see what you’ve scored over the past year or so. But even more impressive is the GPS. It’s great to simply walk up on your ball and know exactly how far it is to the pin. This entry was posted in Cool Apps and tagged #bunker, #drivingrange, #golfclubs, #green, #greens, #outdoors, #par, #pga, #putt, #putter, #putting, #sandtrap, 18 holes, 9 holes, birdie, bogey, card, course, distance, drive, eagle, fairway, golf, golfer, gps, handicap, hole, mulligan, pin, putts, score, score card, stat, statistics, strokes, usga on September 3, 2015 by Steve Miller. Today’s app review is for the Road Bike app by Runtastic. I have been cycling for recreation for a long time but 2 years ago I started making it a regular part of my exercise routine. Cycling is great for your heart and your waistline. In an hour, you can burn between 500 – 800 calories, depending on how fast you go. I have ridden a half century (50 miles) twice (once by myself and once with my youngest son). 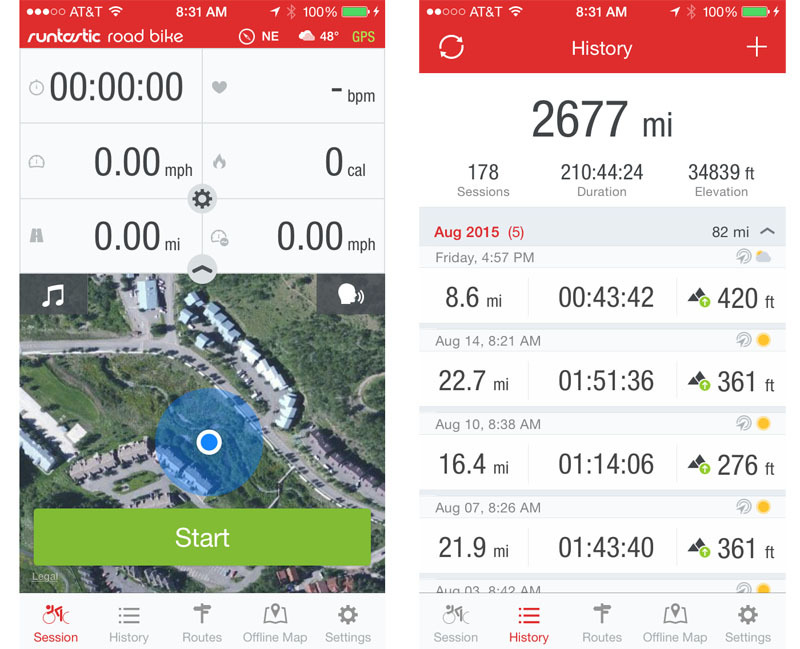 The Road Bike app is all about tracking your cycling rides. It tracks average speed, max speed, elevation change, calories, average pace, and more. It also uses the GPS to show your route and even records the temperature. To get started, you simply download it, tap Session then tap Start. You can pause your ride if you stop at street crossings or if you are just taking a break. If you like to play music during your ride, you can stream your favorite playlist. As you are cycling, it also announces your progress every mile or so (the timing is configurable). It can announce miles traveled, average speed, average heart rate, and average pace. Runtastic is the developer of Road Bike, they have develop lots of different fitness related apps for running, heart rate monitoring, nutrition and working out. Road Bike is awesome because you can keep track of all of your rides. If I ever wonder how many miles I’ve cycled in the past year or so, I can go there to see it. My history shows that I’ve logged 2,677 miles since August 2013 and went for rides 178 times. It also shows that I’ve ridden over 34,839 feet in elevation gain. Another awesome feature is the heart rate monitoring. With an optional heart rate strap, you can monitor your heart rate in real-time. I don’t always use this feature but my wife uses it religiously. This entry was posted in Cool Apps and tagged bike, cool apps, cycling, cycling apps, fitness, gps, heart rate, heart rate monitor, ride history, ride sessions, ride tracker, road bike, runtastic, runtastic road bike on August 27, 2015 by Steve Miller. Finally! With Apple’s release iOS 8.3, you no longer have to enter a password each time you wish to download a free app from the app store. Since this is a new feature for iOS and it is OFF by default, here is how you turn the feature on. This entry was posted in Cool Apps and tagged disable password for free apps, download free apps with no password, ios 8.3 disable password, latest features of ios 8.3 on April 12, 2015 by Steve Miller.